Dr. Joyce H. Brown is an author, speaker, consultant, certified coach, and seminar leader. She is the founder and president of Stress And Grief Relief, Inc., a nonprofit life-saving organization. But Dr. Brown hasn't always been the dynamo dedicated to saving lives from suicide and depression. Even as a child she fought depression, so much so that she planned her suicide at the early age of eight. Her life continued to spiral downward through a series of tragedies and trials, including eight major surgeries. She ultimately became bedridden with rheumatoid arthritis and repeated episodes of pneumoma. 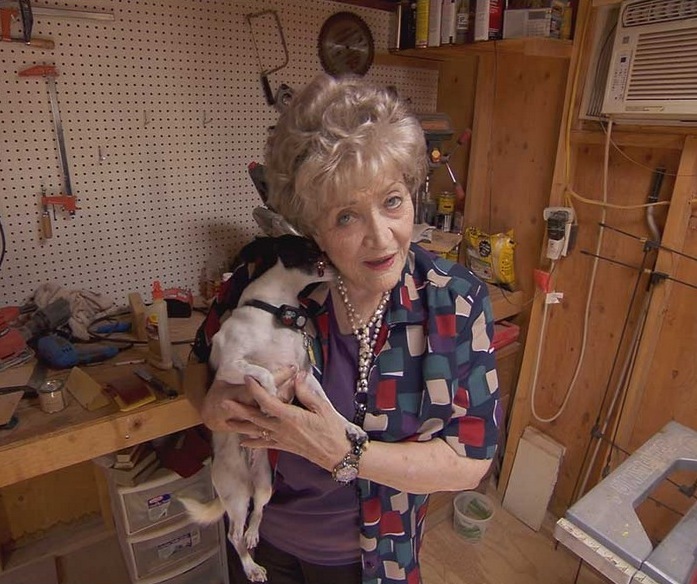 In 1983 her physician told her to prepare for the end of her life. Dr. Brown received the "bad" news with great joy. She was as ecstatic as someone else might have been if they had won an all-expense paid trip to Hawaii! She was going to realize her heart's desire ... she died and went to the Other Side. What she learned on the Other Side changed every perception she ever had about life and death, Heaven and Hell. She was taught the importance of giving MERCY, and NOT demanding JUSTICE. She learned that we have a great retirement fund in Heaven. We fund it when we make it through trials, do not give up, and we are loving, forgiving and do kind deeds. Filled with regret for wasting so much of her limited time on Earth pleading to die, she begged to come back to her pain-wracked body. Finally, she was permitted to return to her earthly body, but with greatly enhanced knowledge. She was also shown the hidden cause of her illnesses that led to her death, and precisely what to do about it. She followed the revealed guidance and had a quick, miraculous recovery. She experienced a dramatic revitalization of her life, physically, spiritually, and emotionally. She had discovered that suicide is NEVER the answer, but that life is precious, and our adversities are simply opportunities for personal growth, with both earthly and eternal benefits. Most importantly, she learned that every person is a child of God with a purpose for living, and that we are ALL loved unconditionally by our Creator! After her near-death experience in 1983, Dr. Brown continued her education in natural health and alternative medicine, becoming a Naturopath. She has received six life-time achievement awards in the natural health field. She is a Board-Certified Expert in Traumatic Stress for crisis management, a Certified Emotional Freedom Therapist, and a Master Certified Action Coach. She is known as the Therapist's therapist, AND the Hope Doctor! 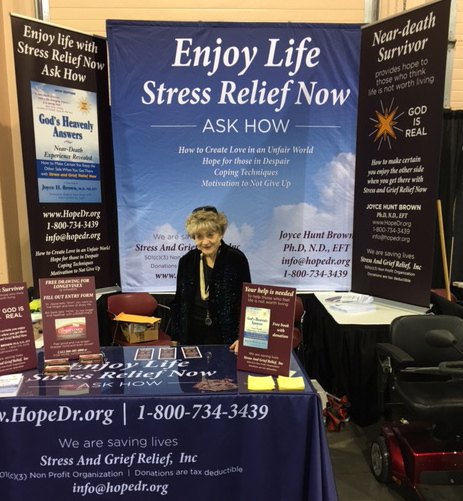 As the founder and president of Stress and Grief Relief, Inc., she administers a suicide prevention lifeline 800.734.3439 reaching hundreds of potential suicide victims each year with a message of hope. In addition to being the author of the book, God's Heavenly Answers, an expanded and updated edition of Heavenly Answers for Earthly challenges, Dr. Brown is the author of "Reap a Miracle Journal," "Manage Stress and Learn While You Sleep," and the Sleep-Learning CD, "Whispers for Life and Prosperity." She shares unique methods about how to achieve Stress and Grief Relief! Click here to view pics of Joyce's housefire.